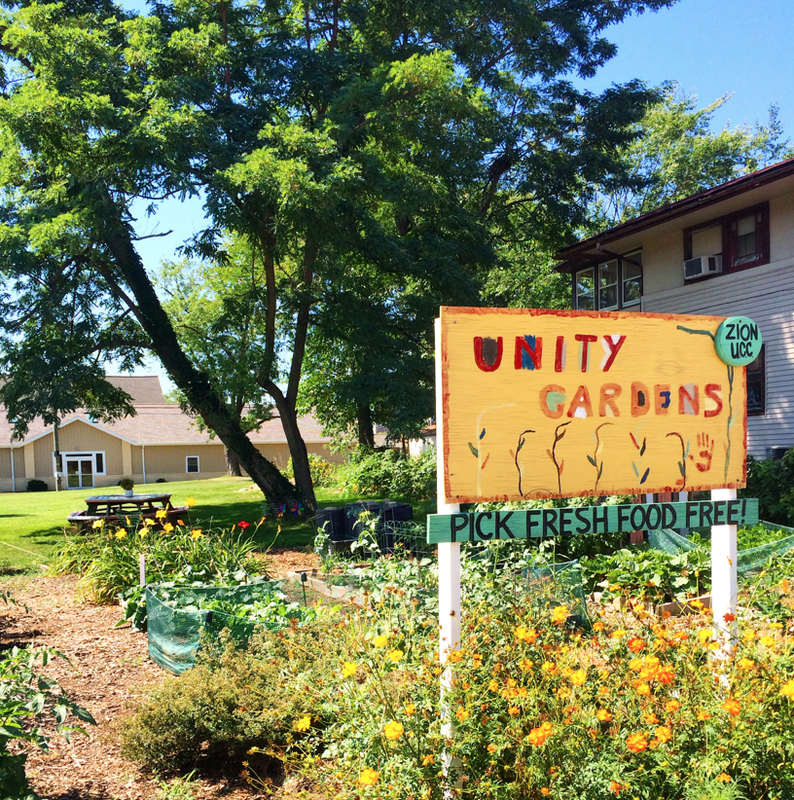 Seeing this Unity Garden in South Bend last week made my heart sing! Is it possible that the difficult election cycle in which we find ourselves is taking a toll on Americans in unexpected ways? I find drivers a bit more aggressive, people crankier with each other in public places, and, in general, I observe more intolerance with one another than usual. Perhaps I wouldn’t be noticing if we hadn’t just returned from two weeks in Europe, where we found strangers quite respectful of each other and of us as we traveled many modes of over-crowded public transportation and visited sites brimming with hoards of people, where it would have been easy to get in each other’s way and lose patience with the masses. I’ve been intent this last week on noticing the happy things, the encouraging things that go on around me to help dispel the destructive chatter everywhere. When the world gets nasty, how can we fill our eyes and ears with good things to counteract the overload of negativity? How do we neutralize the violence and pain we are sure to absorb when we watch the news, interact with social media, read the local newspaper? How do we digest well what we see and hear, at least to stay in the know and offer care where possible, but at the same time pay attention to our own wellbeing? I’m still thinking about silence as a remedy, if you read last week’s post, but also intrigued this week with curiosity about how to balance with good input the assault from the fire hose of bewildering information just waiting to drown us with pummeling force. I am grateful that my Facebook friends continue to offer positive posts. Mary shared this version of Hallelujah, and Rose’s “The Earth Has Lungs. Watch them Breathe” cheered me up as I thought of the amazing ways in which our world operates without our knowing or understanding. Yes, surely, I don’t have to wear myself out further with election news. My high school and college classmates are turning 70 this year and I’ve enjoyed watching how they are embracing the decade. The four grandchildren continue to advance in years, and it’s fun to watch them preparing for the start of a new school year as a sixth grader, third graders, and three-year-old pre-schooler. I was mesmerized last week by Zion UCC's Unity Garden (in photo above) offering free food for the taking and excited to consider volunteering some marketing assistance at Just Goods. Finally, I unearthed Jan Richardson’s A Blessing Called Sanctuary, a personal gift for me which showed itself just in time to use in words for worship Sunday at Kern Road. Truly sacred, inspired thoughts about turning the personal sanctuaries we have found on the journey into sanctuaries for others. Yes, that, too, will help cure what’s wrong with this election year.